I ordered this on 5 April. 24 DAYS LATER, still waiting to get a good unit. It will be my FOURTH try. First two had issues right out of the box. Third one was new, but wrong hardware. First had a bad camera. Here's the pic it took. the inner lens was covered in gunk or something. I'm not taking it apart. No way they tested it. No, I didn't forget to remove a protective film, but it looks like maybe they did on the inside of the tablet. 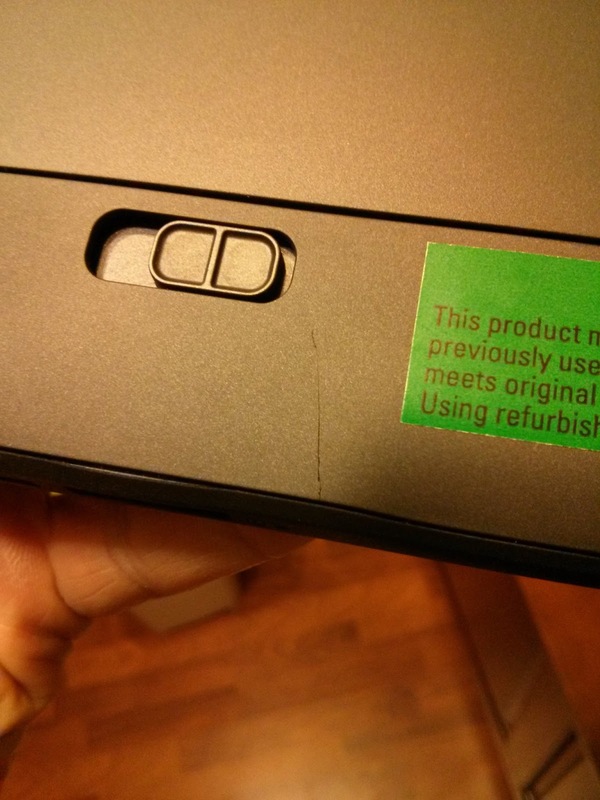 The replacement had a crack in the back and a popped corner AND the wrong OS. I ordered Pro, replacement had cheaper regular Win 8. But they shipped it quickly. Overnight I think. Too bad it was wrong and busted. The popped corner I later pressed on a bit and it popped back in. That's as far as I go. This is how the replacement arrived packaged: free to move around a lot. At least wrap it up. Dell, this could be why you are having trouble competing. I like the specs and price of the machine but this is all just unacceptable. I was also told the replacement would be new. 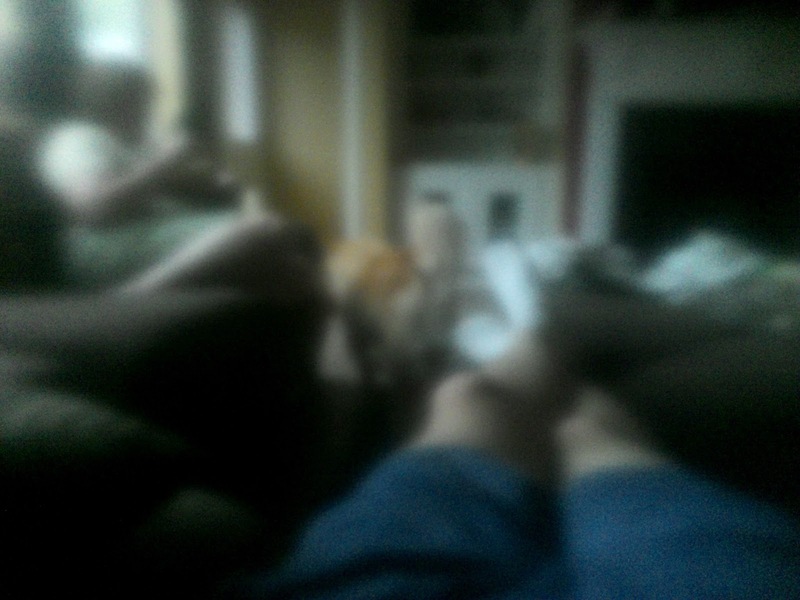 I spent several hours setting up the first one before discovering the back camera issue. The second I at least noticed the wrong OS off the bat so I didn't spend much time with it. This experience is making me want to by an iPad mini, much as I dislike Apple's walled garden. At least their products and service are top notch. 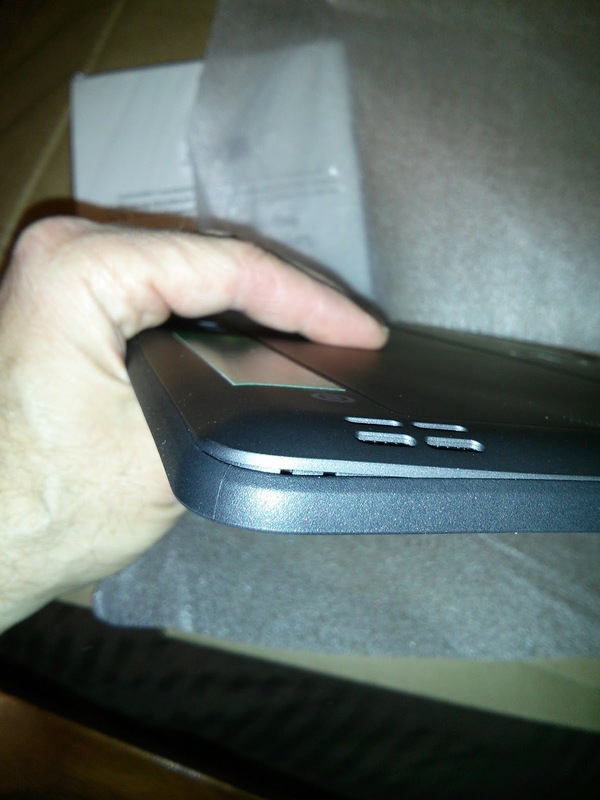 From Dell on 4/16/2013: Just wait, we will get you a replacement. Some day. I spend 20 minutes on the phone with them asking what's up, and they finally tell me there's one on the truck and it's a new one, not a refurb. Yay, right? Not so fast. They sent the wrong HARDWARE this time. An ST2e which is the 'Essentials' model missing several features vs. the model I had paid for. THIRD TRY DELL! One broken, one damaged AND the wrong OS, one brand new with the right OS BUT the WRONG MODEL. Let's go for FOUR and you better be sending me an upgrade and a case for the hours I'm spending packing these up and on the phone with you. Dell tells me it's been discontinued. Umm, this just came out like 90 days ago. The ST model is discontinued, the ST2 is the new one. 50+ minutes on this phone call so far...We agreed to stop using the 'ST2' term and call it the Latitude 10 to eliminate that confusion. I point out to them that their website says this can ship tomorrow. So it's not discontinued. They call and reference the issue # and only leave half a message. No idea why they called. Called them, told me nothing. Waiting on the tech to call. In an hour. Call the person I'm supposed to call at 255PM CST who is supposed to be in the office until 5pm. Never get a response. Call the guy from 26 April, 905 CST. He's supposed to be in. No answer. Get an email from them so I call, and finally get someone. She's more concerned about getting their systems back than making sure I finally get the right one on the FOURTH attempt. Or that I'm a happy customer. I have never got any waybills to send them back, despite being told earlier that IIRC the third system was supposed to come with one. She says she will send me two. She also tells me now the FOURTH tablet I will get will be a refurb vs. a new one like attempt #3 was. She says a new system of the lower end model costs more than I paid for my refurb. I don't care how much the new system I DON'T WANT AND NEVER ASKED FOR costs. I get ONE waybill in my email. I email her BACK saying I need another one, AS WE DISCUSSED. 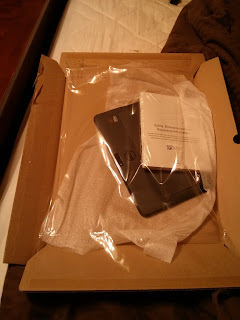 25 days and counting, Dell, to get the proper tablet, with the proper OS, that I ordered, and even though you sent a new one for attempt THREE, and it was the WRONG one, now I'm back to getting a refurb. At some point. If they have it in stock. Or the next model up. If they have it. I go to wipe the one that was cracked and had the wrong OS so I can send it back. Says it "Could not find the files needed". Good thing it was just setup for testing and doesn't contain any of my personal info. I seem to remember that one had a visible restore partition that on the other tablets I've had was hidden. IIRC. Oh well. Another fault, it had enough to start with. I get a message saying Fedex will deliver something tomorrow. Nothing from Dell. A new (well, refurb in great condition so far it appears) tablet arrives! After Dell emails to tell me it's coming. They didn't have this spec in stock. GUESS WHAT?!! *NO STYLUS*!! I KNEW I SHOULDN'T HAVE SENT IT BACK! A little voice told me they wouldn't get it right. Well, it was a big voice. My past experience. But with my luck, they would have said I didn't send it all back. So, back to the phone! They say they will send me one in a separate order. At least now if I return the tablet (God forbid) I can not jump that hurdle again. Tried all manner of drivers from Dell, Windows updates, etc. The FOURTH unit will not use my phone as a hotspot correctly with the Metro Internet Explorer, and it won't pair with my Bluetooth mouse. Some stuff works on the hotspot, some doesn't. Most hotspots work though. My Macbook Air and other devices had had no problems with either device. Did a system wipe and Windows update. No change. It also has trouble seeing my hotspots right downstairs and my Macbook Air gets a strong great signal. Defective driver, card, what? I don't care much any more. It also has several issues like not letting me login unless I open the on screen keyboard. Entering PIN/Password does nothing, or the regular keyboard might not even pop up. The FIFTH tablet arrives. It's a NEW one. YAY, right? Nope, it's the wrong hardware version AGAIN. At this point, I don't know if it's comical or sad. Or both. Fedex drops off a box. It's my the wrong tablet they sent on May 30th. 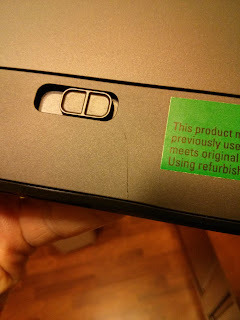 The return label DELL SENT ME had the to/from reversed. So I got the tablet back I dropped off at Fedex last week. Down the street. I pick up the new tablet. It's loaded. AT&T wireless module, and the fingerprint and smart card reader. Nice to have, but I wonder if the case I want will fit with the added bulk of the module? It's only a $4 difference for this model, and I don't need those features really. Here's what I found wrong so far: battery looks like it was dropped. I know I never did. Slight deformation on the corner. Hey, I noticed it. Yes, it's nit picking but this is now a $700+ tablet. The battery is VERY hard to get out for some reason. AT&T modem driver package downloaded and installed. Didn't change the driver version in device manager but completed happily. Yay. CONTINUAL problems connecting to the internet via plain old wifi! Will update the BIOS and drivers. Just about ready to sell this thing to someone who likes to twiddle with stuff if I can't resolve these issues. I like the power and promise, and that's all that's keeping me going. And I hate to lose. Want one? You better be in the same frame of mind.